As one of the worlds top Terex Crane distributors, Cropac garners significant interest from customers for boom trucks. The Terex Crossover 8000 model is the preferred unit for many of those contractors. The Crossover 8000’s boom truck cranes will be available at Cropac’s locations in Ontario, Québec and Alberta. 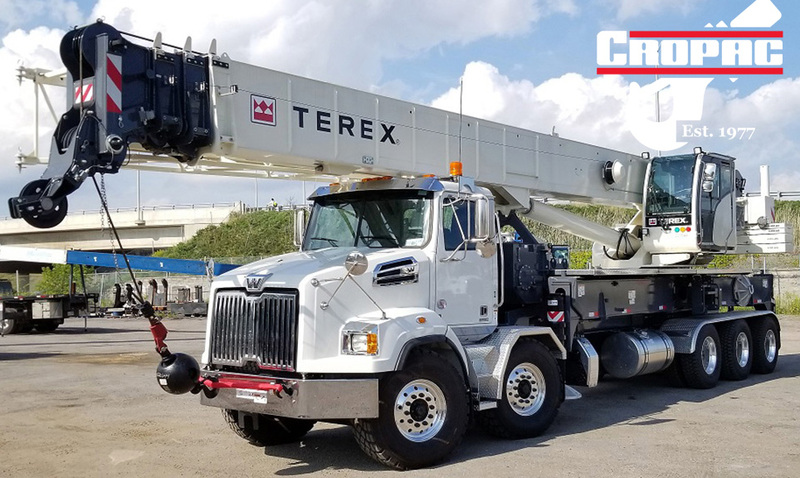 The Terex Crossover 8000 boom truck crane features a 126′ fully synchronous telescopic boom with jib options available and has a 80-ton US maximum lifting capacity. Cropac Equipment was founded in 1977 and has locations in Ontario, Québec, and Alberta. The company’s headquarters is located in Oakville, Ontario.